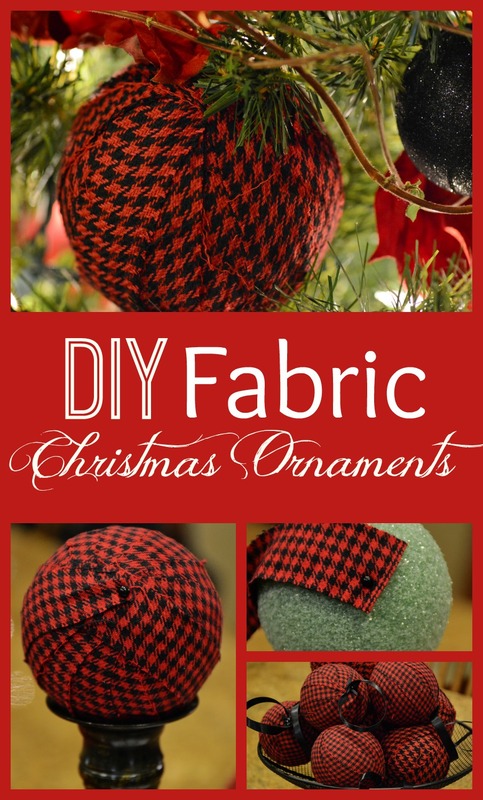 Fabric Christmas Ornaments are a super simple way to dress up your Christmas tree and quite possibly the easiest. 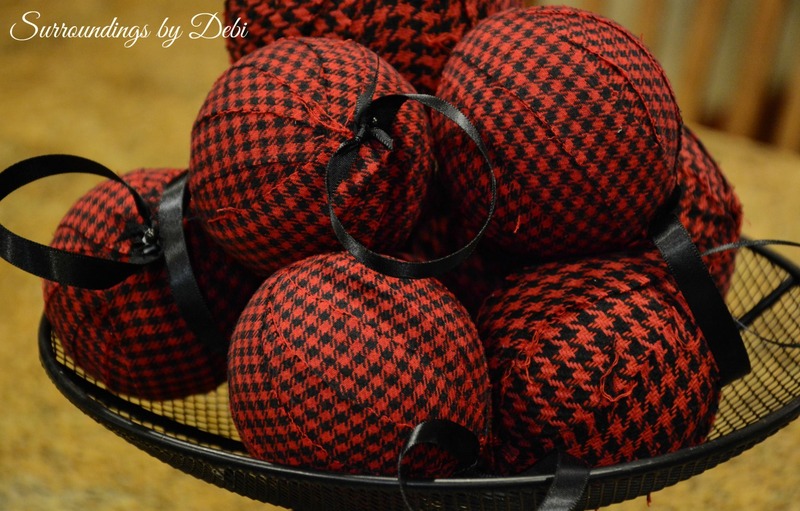 This year I have worked a theme into my Christmas decorating using a black and red plaid fabric for many of my projects. I wanted to add a bit of the look to my Christmas tree and decided to create a few fabric Christmas ornaments to add to the tree. 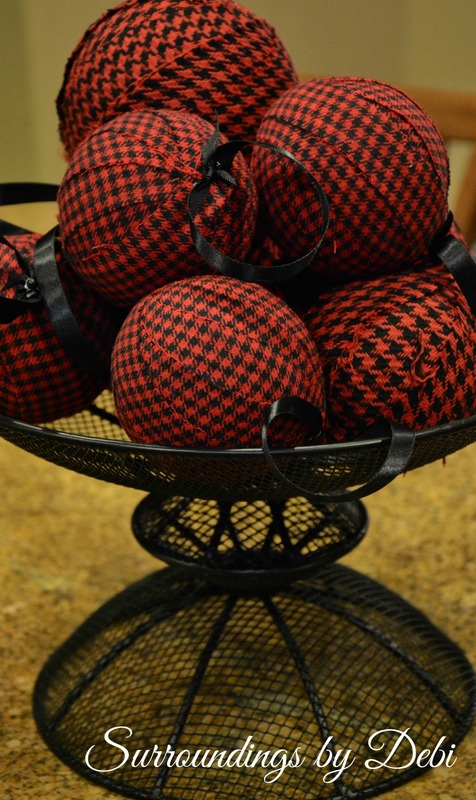 With just a few Styrofoam balls (white or green – you will see I used both), a bit of ribbon and pieces of fabric I was able to put these ornaments together in no time. 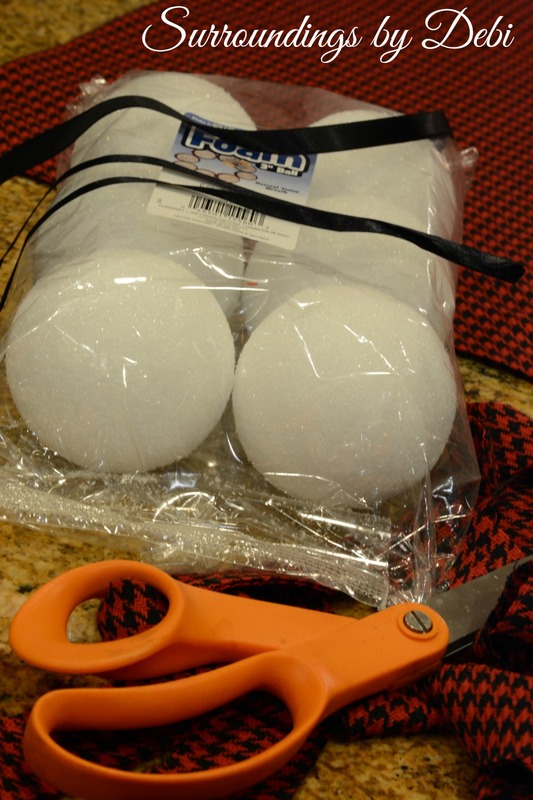 Begin by cutting the fabric into ½ inch strips. 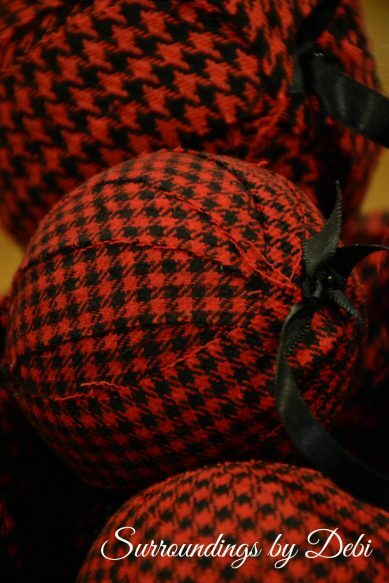 I used 3” balls for some ornaments and 4″ balls for others to give the tree a bit of variety.t Two different coordinating fabrics were also used. 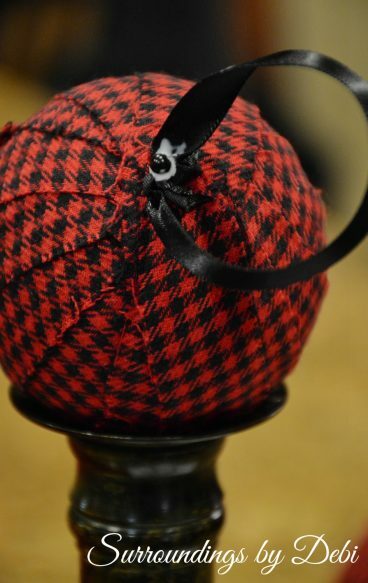 Pin one end of the fabric onto the Styrofoam ball. This will help to hold the fabric into place. When you get used to wrapping the balls, you won’t even have to do this step as you will get so good at this you will be able to hold the fabric in place with your finger while you are wrapping the ball. Continue wrapping the ball by crossing the fabric around the ball and overlapping just a bit. When you need to add another strip of fabric, simply pin another piece in place and continue wrapping. 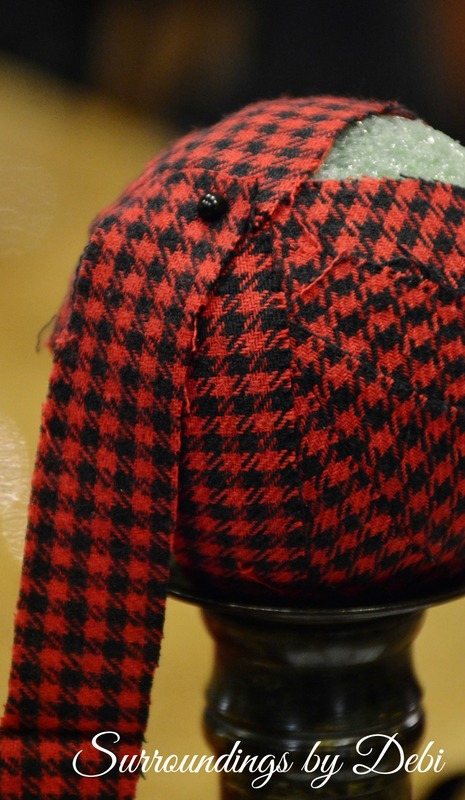 The pins can be removed once the fabric is in place. 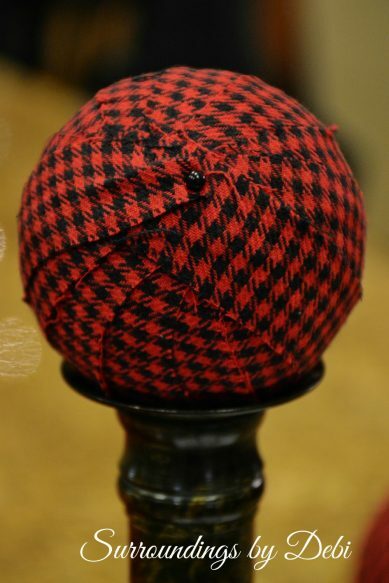 Once the Styrofoam ball is covered, simply pin the end of the fabric into place. I liked the way the fabric frays giving the balls a tattered look. Once the Styrofoam ball is covered, simply create a ribbon hanger by knotting two ends of ribbon together, adding a bit of glue to the pin and anchoring the ribbon into the ball. Once the glue is dry the ribbon hanger held securely. 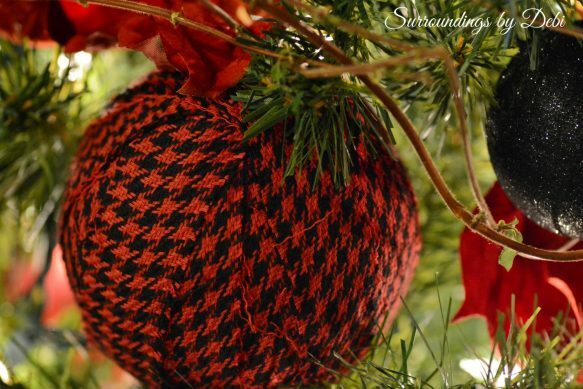 These make wonderful lightweight ornaments for the tree for very little cost. They would also make great bowl accessories with the hanger left off. 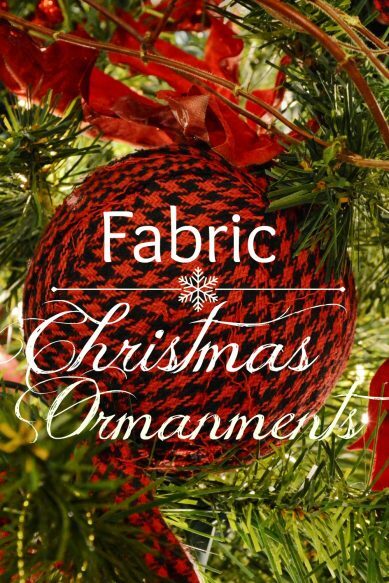 And the great thing about these ornaments – if your theme changes from year to year you could easily change the fabric to capture the look! I am excited to unveil this year’s Christmas theme – I hope to see you back here soon! Remember to pin this to your Christmas Pinterest page! 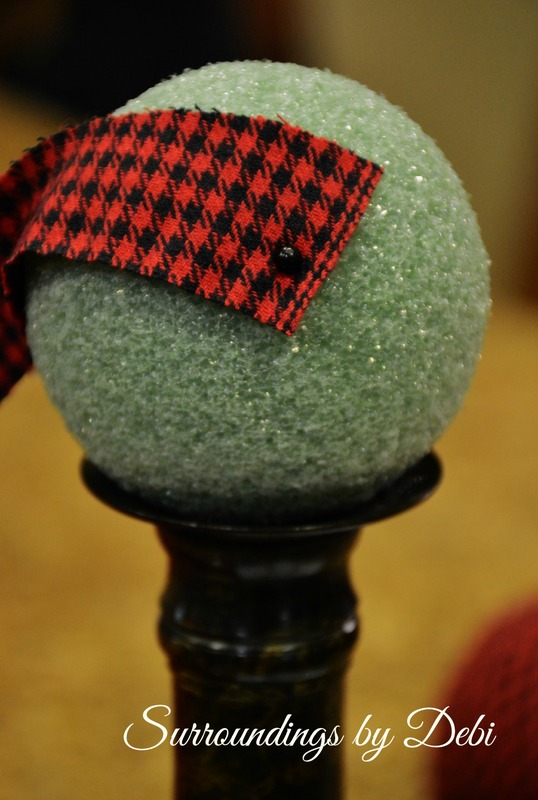 Follow me HERE to find even more wonderful Christmas Décor Ideas. 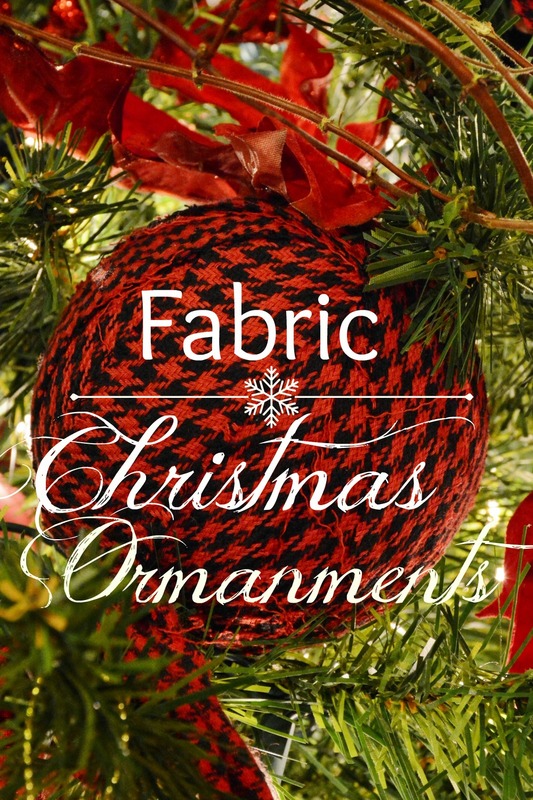 I love using fabric, and these ornaments are so pretty! Love the tattered edges as well! Thanks for sharing!